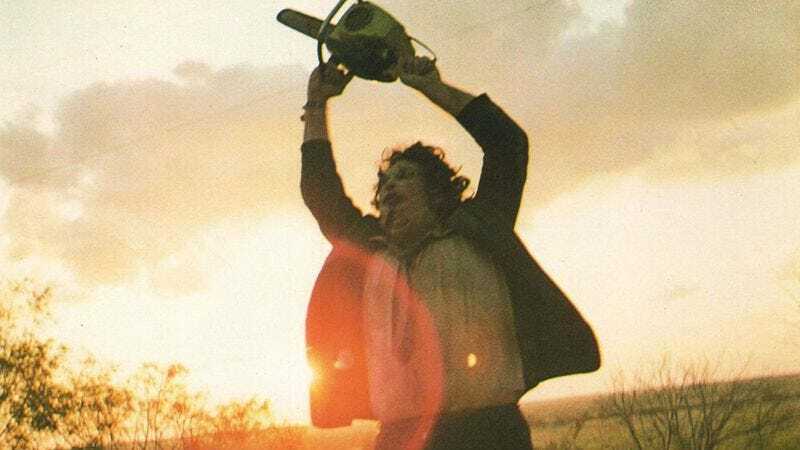 Variety is reporting that Gunnar Hansen, the actor best known for playing Leatherface in Tobe Hooper’s original Texas Chain Saw Massacre, has died. He was 68, and had reportedly been suffering from pancreatic cancer. Hansen was born in Reykjavík in 1947, and moved to Maine with his family when he was five. Eventually, he moved to Texas and earned undergraduate and graduate degrees from the University Of Texas At Austin. Hansen had some acting experience from school, so shortly after graduating he decided to audition for a film that was filming in town. He got the part, and in 1974 the world met him as Leatherface, The Texas Chain Saw Massacre’s iconic masked killer. He then appeared in the 1977 horror film The Demon Lover, but after that he decided to leave acting for a while and become a writer instead. Over the next few decades, Hansen saw acting as more of a hobby and appeared in a handful of horror movies and horror spoofs like Mosquito, Chainsaw Sally, Hollywood Chainsaw Hookers, and Reykjavik Whale Watching Massacre. Hansen never returned to the Texas Chainsaw franchise in an official capacity, but he did make a small cameo appearance in 2013’s Texas Chainsaw 3D. Most recently, he was working on writing and producing a film called Death House about a secret government facility where horrific things happen.